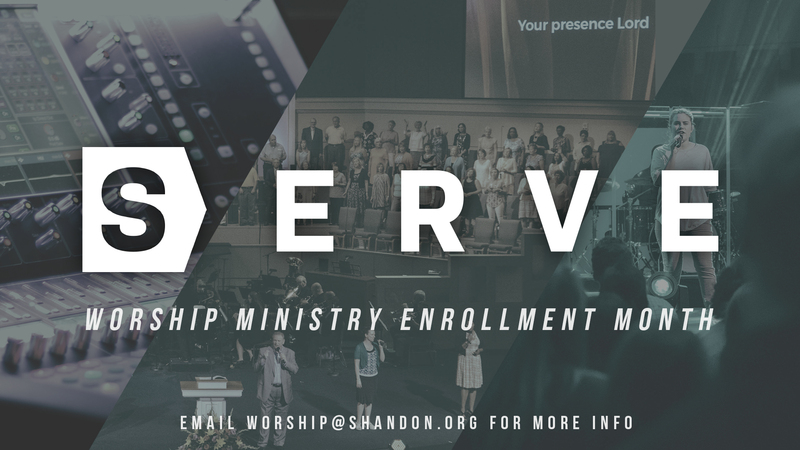 One of the exciting things here at Shandon is that there are so many opportunities for people to worship and lead in Worship! Regardless of what service you attend, there are positions ranging from vocal to instrumental to technical! This month of April is all about serving in the Worship Ministry! - Modern Band is by audition and you can contact the worship office to set something up. Email Kristen Brantley ( ) or Andrew Carr ( ) and they would love to reach back out to you. We also have a Worship Development track for those that want to develop into Worship Leaders and we would love to talk with you about that as well! Take a quick minute and go to our webpage (www.Shandon.org/worship) and find out about all the other opportunities for worship including Kids Choirs, Kids Worship Team, Student Music and Sr. Adults! Shandon is known for a lot of things, so let’s make sure that we are known as a worshipping church as well! Plug in this month!